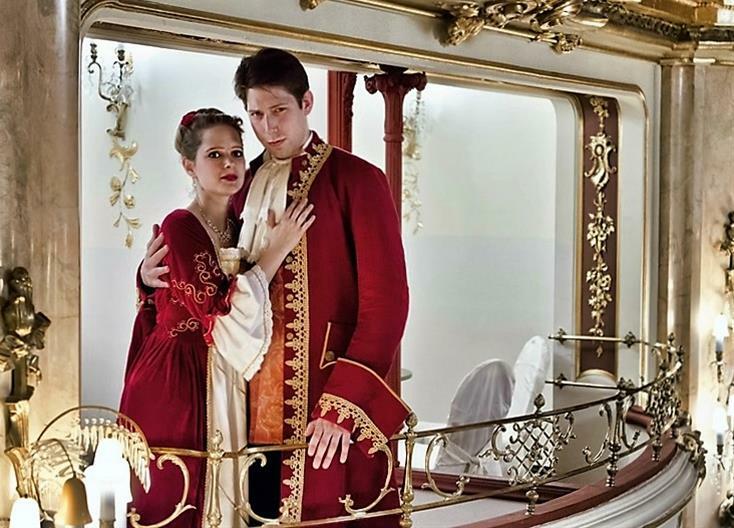 Hear the most famous arias and duets from Mozart´s operas “The Magic Flute”, “The Marriage of Figaro” and “Don Giovanni”. 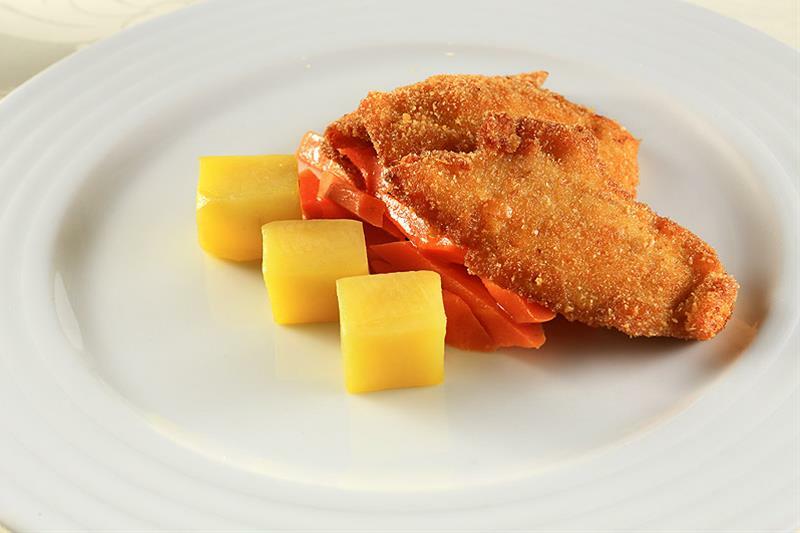 The three parts of classical Mozart Concert program are performed between each course of the traditional Czech Austrian three course menu. renowned opera singer and songwriter; for several years a soloist in the Moravian Theatre in Olomouc and performing at prestigious concerts in the Czech Republic, Germany, Austria and Italy. talented baritone singer and a pianist, walking in footsteps of his father, the world famous Czech pianist Ivan Klánský. Daniel successfully participates in various domestic and international singers competitions and has had many concert performances in several concert halls in Europe. is formed by 5 instrumentalists from Prague Radio Symphony Orchestra, Salzburg Chamber Soloists, etc. who perform their art dressed in period costumes. Welcome drink included (Bohemia Sekt Brut 0,1l), you can purchase more drinks at the spot. Welcome drink included (orange juice), you can purchase more drinks at the spot. Boccaccio Hall is a hidden gem in Prague. Once you are inside, you will be in a different world. 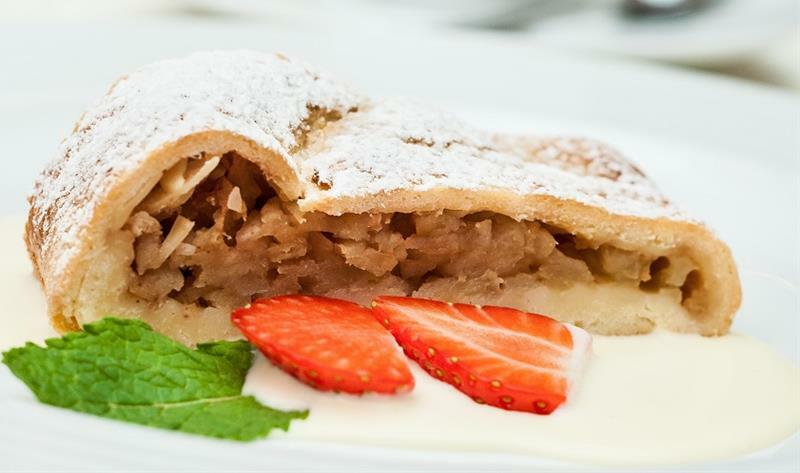 While eating delicious dinner you get to hear the wonderful and highly acclaimed Czech opera singers who are not only talented but also incredibly funny. Loved the ensemble too. More than happy to recommend! You can choose an exclusive seating at the table for two or seating at the round table for eight listeners. Children up to 12 years old have a same ticket price for both seating options (the evening is suitable for children age 6+). Menu and drinks are served only during the concert breaks. Unlimited drinks consumption: the drink consumption is for one person/ticket and cannot be divided between more people (for Unlimited consumption for 2 people, simply choose 2 Unlimited tickets, for 3 people choose 3 Unlimited tickets...). 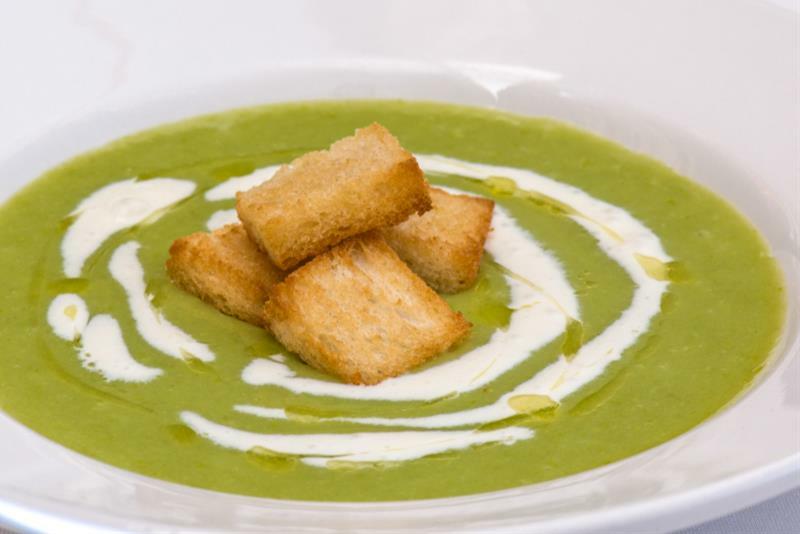 Listen and dine in Prague! Boccaccio ballroom is placed in luxurious five stars hotel Grand Hotel Bohemia. Built in 1927, the hall immediately became one of the favorite places for Prague´s high society´s events. "Soireés dansantes" were held here with participation of many famous people, like Jan Masaryk, a Minister for Foreign Affairs, or then US ambassador to the Czech republic and many others. 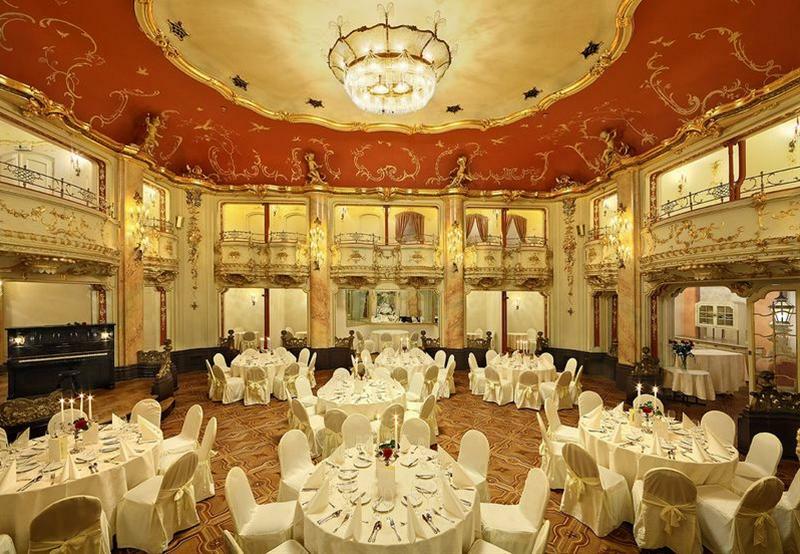 Boccaccio ballroom of Grand Hotel Bohemia is located in the very heart of the Old Town quarter in the centre of Prague. The ballroom was given its name according to Giovanni Boccaccio and his Decameron and it is built in Neo-Baroque architectural style. You can admire the original parquet floor made of wooden cassettes, where each cassette consists of 9 different types of oriental wood or fragile and glittering beauty of the central chandelier, which was made out of 4000 hand-made pieces. 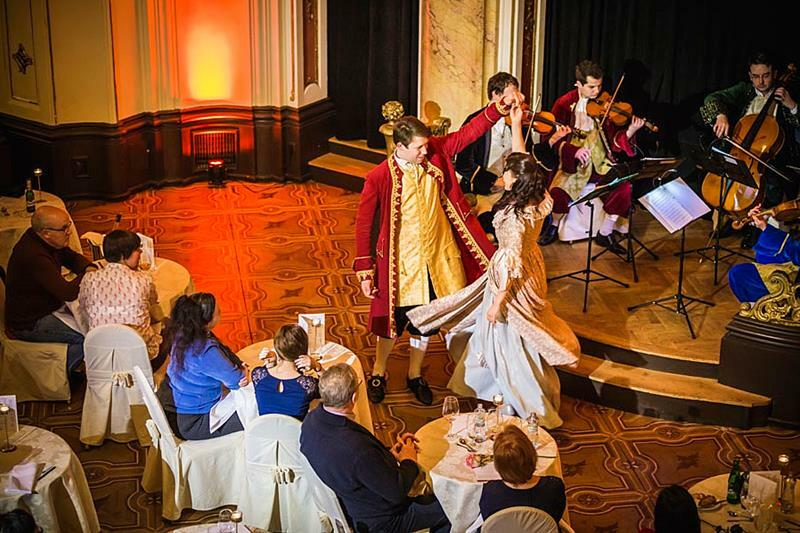 The Boccaccio ballroom of Grand Hotel Bohemia remains one of the most interesting historical ballrooms in Prague and provides an excellent setting for musical and dining event of the top quality. The performing artists were great. We enjoyed it very much. The food,wine and serving staff also very nice and friendly. We weren’t very pleased about the assigned table but it was solved in a second and thanks to that we had an awesome experience. 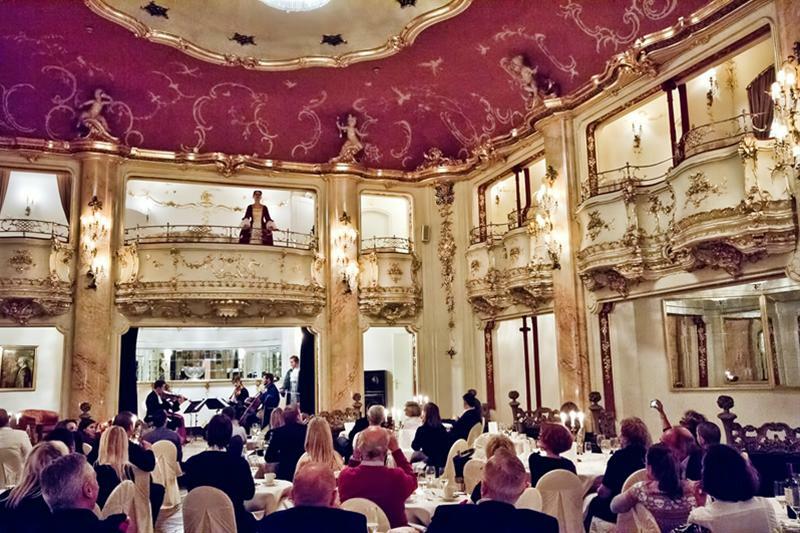 This Opera Dinner was the highlight of our 10-day trip through Germany, Prague, and Vienna. I would recommend to anyone who loves opera to consider this event as a very special night of entertainment,. Beautiful venue, wonderfully talented performers, average waitstaff. We hada very nice evening listening to talented performers. Recommended for something different. Almost like a private recital. I wish Mozart's arias were a little more melodic or they expanded the repertoire just a bit. Mozart arias are fun and lively, bit they're not beautiful and don't bring the listeners to tears or emotional heights like some italian composers. They're more campy, staccato-sounding, and even bawdy sometimes. Still, great evening. Also, event program should list arias in order and provide background to each song. Fantastic event, show, venue and food. Great performers who had fun with the audience. Singers put on a great show and made the event all the more worthwhile. A must do for anyone visiting Prague. If I had to find something to improve on I would suggest the waiters paid more attention to the filling of glasses for people who purchased drinks by the bottle. As we found ourselves filling our own as we were passed by too often. Overall fantastic and the highlight of our trip to Prague. Spectacle et repas réussis dans un cadre somptueux. This was exactly what we were looking for. An evening of Mozart in an enchanting setting with beautiful voices.